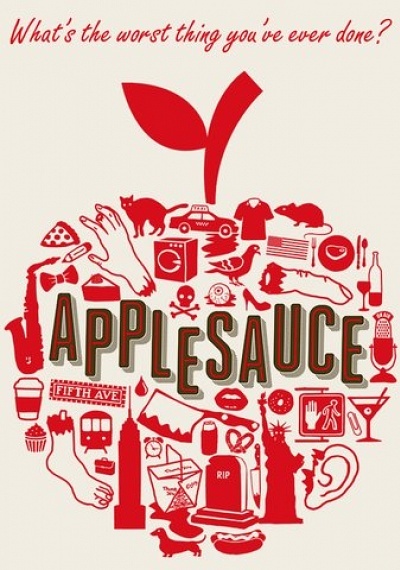 Applesauce :: Movie Information :: RabbitTV GO! "Every Tuesday night, radio talk show host Stevie Bricks invites his listeners to call in and share their stories. And tonight, Ron Welz is ready to share his. But it doesn't take long for Ron's past to catch up with him. And when someone starts sending him body parts, his life begins to fall apart. Who is tormenting him? His insolent high school student? His best friend? His wife? There are eight million people in New York, and everyone's a suspect. Take dark comedy, mix it with noir, add a dash of horror and stir in some melodrama, and you have the recipe for one of the most original and unusual movies of the year."